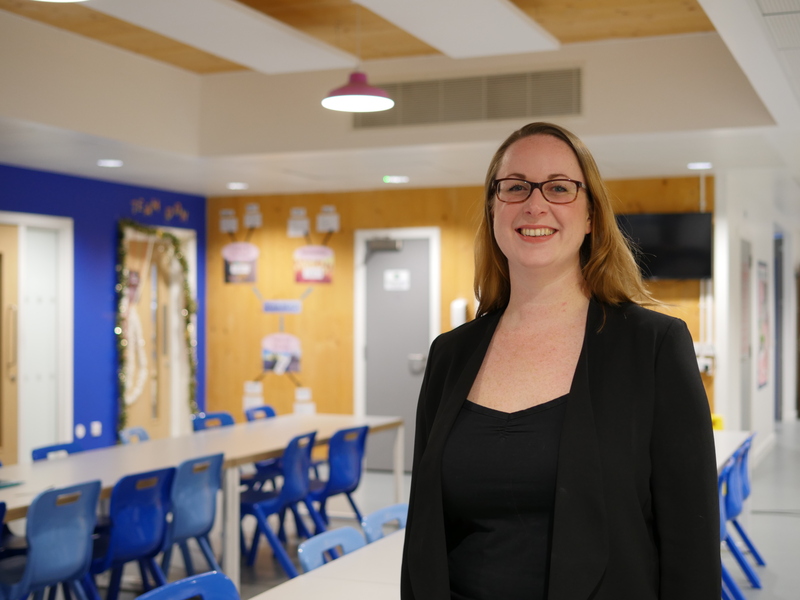 Rebecca is Secondary Head teacher and co-founder of Reach Academy Feltham, in London. This was the first all-through free school in the UK to be rated outstanding by Ofsted in all areas. In the last year, their first cohort of students took their GCSEs: 98% of pupils achieved a good pass in English and 91% achieved a strong pass. In maths the figures were 98% and 82% respectively. The school is designed with caring and empathetic relationships at the centre. They use first names for staff and students, and visitors always comment on how warm and loving the school feels. The school’s response to the challenges that pupils and families face outside of the school, which inevitably permeate inside the school, is to educate all parties in how to form more effective relationships. The mission of the school is that all of the pupils will leave able to go on to live lives of choice and opportunity. Rebecca and her team define success as meaning that all children are able to navigate the world with empathy, a sense of wonder and a deeply caring attitude towards others. Rebecca has invested a huge amount of time of energy into designing a curriculum that provides opportunities for pupils to engage with challenging materials that push them outside of their comfort zones and equip them for life beyond school. So far, she has co-founded a school that educates children aged 2 – 18. The next phase in the school’s evolution is the Reach Hub. This is a community-centred and community-serving set of programmes including parenting classes, adult education classes, mental health and well-being support for whole families, communication classes for parents and their young children and pre- and post-natal support. The Reach Hub is about to deliver a peer-mentoring programme called Birth and Beyond, which equips volunteer mothers to walk alongside new mothers for the first 1000 days of their child’s life.